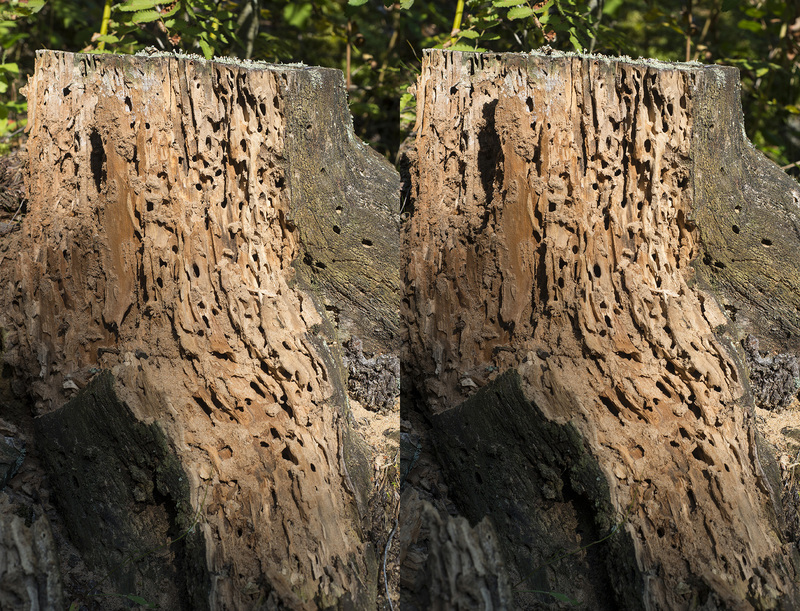 Noticed today old stump of tree covered in small holes. Kicked it couple of times and amazing labyrinth of small passageways emerged. 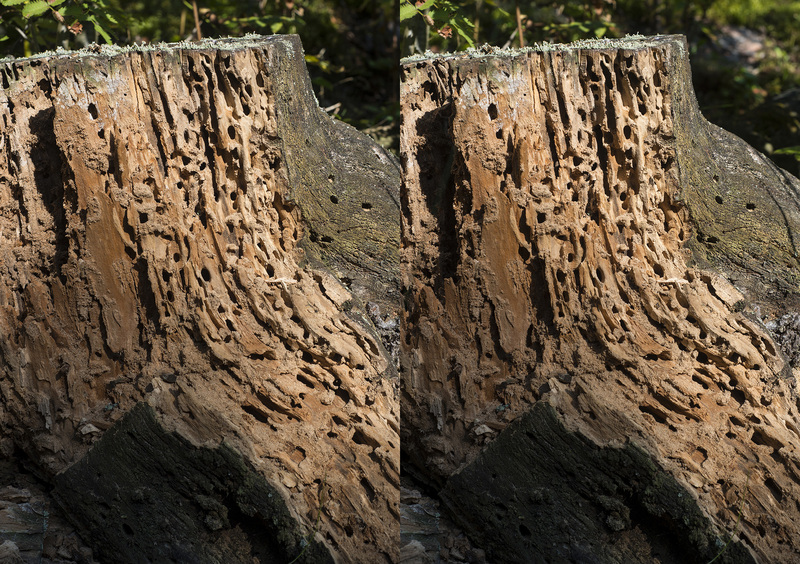 Sorry for ruining your home ants. It was so complex and three dimensional that it made perfect target for 3D photography. Pictures are almost same only small difference in angle of view and effect strength. Enjoy. Today I visited natural history museum (http://www.luomus.fi/english/) and this made it possible to take some photos of old bones. 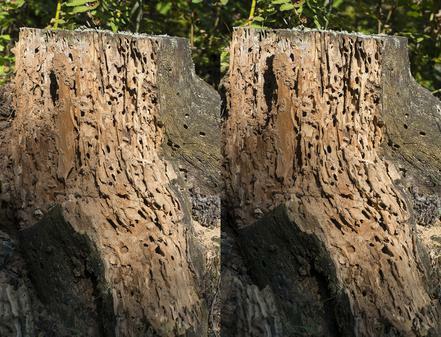 They tend to make good and steady targets for 3D photography. I simply couldn't resist T-Rex skull. The Castle of Kastelholm in 3D. We spent one week camping in Aland, which is south-eastern part of Finland. Castle of Kastelholm was one of the attractions visited. I often feel that regular flat images don't make justice to visually complex places such as castles with high walls and stone structures. They may be best shot as 3D. 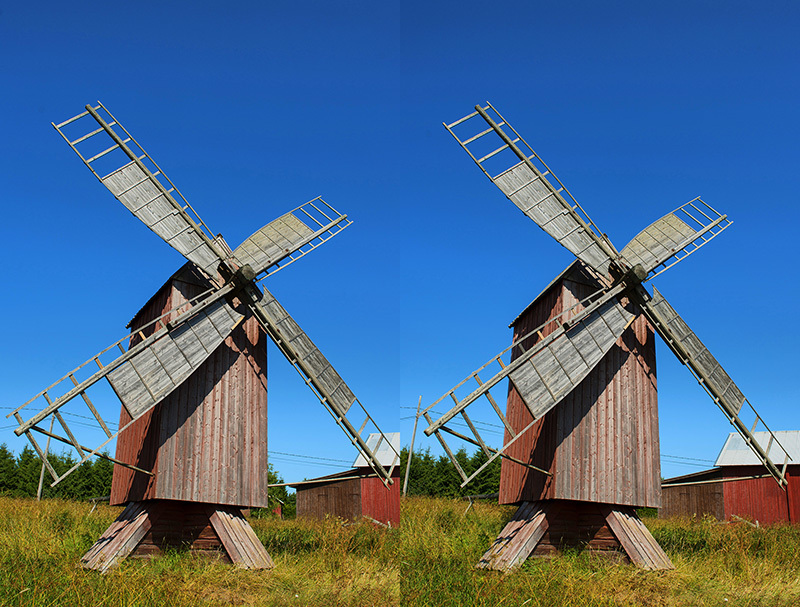 You can view images by cross eye technique. Click images to get see them bigger. - It's easier that way. 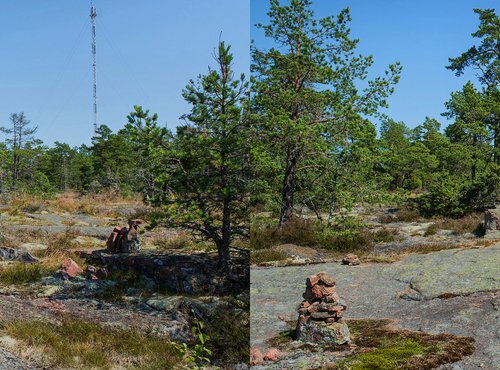 Below are pictures of old windmill and nature of Geta mountain, which rises to staggering elevation of 107 meters being highest point of whole Aland. Here are couple images of rocky beach. Not just any beach but one that was completely wiped out by zunami. Yes, these are from Khao Lak and you can find video in net where man is swallowed by wave running between those rocks of left image. No matter how peaceful the place was when I took these picture I couldn't put aside that video in my mind. Don't know if he survived, probably not as so few did so rest in peace. For some reason I find Buddhist temples very peacefull and beautifull. Maybe because they're places of inner search as well. One of reasons for travelling. Did I mention flowers? They make perfect balance to shooting practice. Enjoy these ones.